Thanksgiving is just around the corner, and we’ve put together this helpful guide to assist you with choosing wines to pair with your holiday feast. Whether you’re cooking a traditional turkey or putting together something a little more unconventional, we’re here to help you choose your Thanksgiving wine pairing. This guide will help you elevate your meal from traditional to transcendental. Cheese plates: Pair with dry, mineral-driven white wines such as Chenin Blanc, Cava, or Champagne. Seafood Canapés: White wines are a no-brainer for seafood snacks. Look for Sancerre, sparkling Vouvray, or rich and minerally Catalan whites. Aperitifs: If you want to skip the pre-feast delicacies and go straight for an aperitif, try a vermouth cocktail, pétillant naturel from the Loire Valley, or any joyful sparkling wine to get the conversation flowing. Cocktails are also a great option, and one of my favorites for a pre-dinner libation is the French 75. Soups: Many rich and creamy soups will pair beautifully with an equally rich and creamy white wine. Try a Cour-Cheverny, California Chardonnay, or aromatic Viognier. If the soup has some sweetness (like butternut squash bisque), try to find a wine with a little sweetness to match. 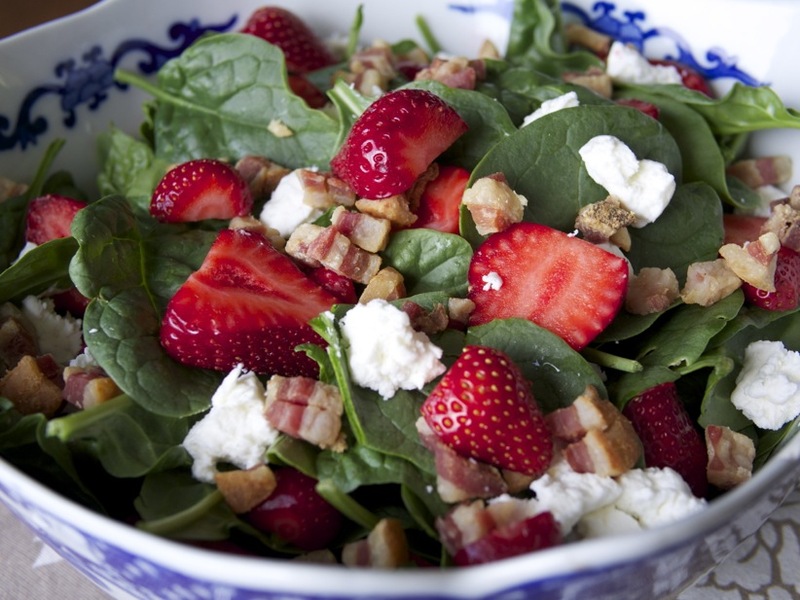 Salads: Pair your wines according to the dressing on your salad. If you’re doing a bright and acidic vinaigrette, stick with wines with lots of acidity like Melon de Bourgogne, crisp and dry Chenin Blanc, Chablis, or Gruner Veltliner. If you’re using a balsamic vinaigrette, pair it with a Provencal Rosé instead of a white wine. If you’re doing a creamy dressing, choose fuller-bodied whites with creamy texture such as white Burgundy, California Chardonnay, or Viognier. Turkey (or any other poultry): Nothing says Thanksgiving like your traditional turkey. Whether it’s thoughtfully brined and roasted, deep fried in your back yard, or smoked in a fancy smoker, the right wine will bring it class and elegance. You can go for a white wine, a rosé, or a lighter-bodied red – any of them will knock it out of the park. Consider fuller-bodied whites such as white Burgundy, California Chardonnay, Rhone whites (Marsanne, Roussanne, Viognier), or even a light and fresh Provencal Rosé. 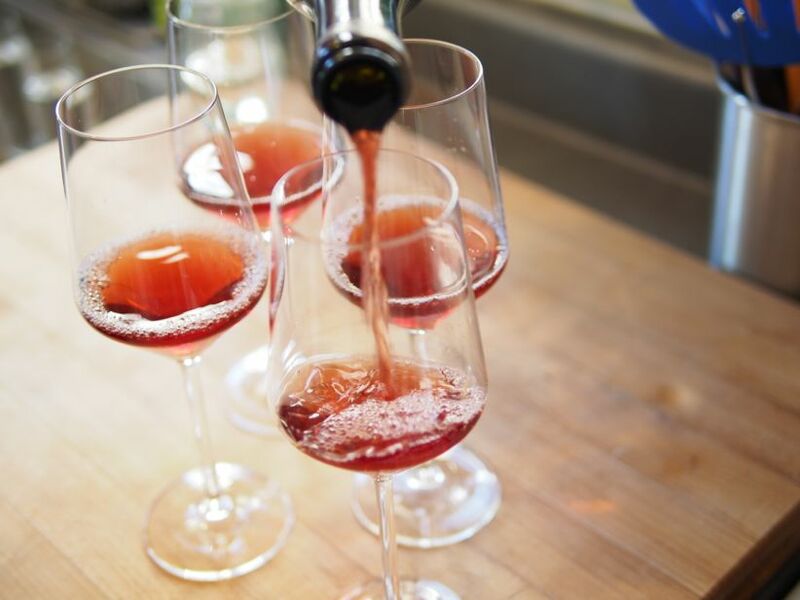 For reds, excellent choices would be Beaujolais (gamay), medium-bodied Zinfandel (look for examples from the Russian River Valley), light red Burgundy, Pinot Meunier, fresh and juicy Carignan blends, or even Cheverny rouge (Pinot Noir/Gamay blend). Ham: Another old standby for Thanksgiving Day is a honey-baked ham. My go-to in this case would be an off-dry rosé, fruity Pinot Noir, cru Beaujolais, Gewurtztraminer, or hard apple cider. Lamb: Although a bit unconventional, it’s not unheard of for people to prepare lamb for Thanksgiving. My go-to for fall lamb would be wines to compliment the gaminess such as Counoise, new world Pinot Noir, Gamay, red Bordeaux, Cabernet Sauvignon, Zinfandel, Rioja, or Malbec. Choose medium-bodied wines with an herbal component if you’re doing herb-roasted lamb served rare, and fuller-bodied wines if you’re braising shanks or shoulder. Beef: If you’re anything like me, you might be preparing something untraditional such as beef. Maybe you’re roasting prime rib, or braising meltingly-tender beef cheeks. In this case, excellent pairings would include Cabernet Sauvignon, red Bordeaux, rich Italian Teroldego, or smoky Austrian Blaufrankisch. Vegetarian dishes: Most of us have a beloved close friend who prefers their protein from vegetable sources. For mushroom-based dishes, look for earthy wines such as red Burgundy and other French Pinot Noir-based blends. For tomato-based dishes, look for spicy Italian reds or tomato-y Cabernet Franc. For something creamy like a veggie pot pie, equally rich and creamy whites like white Burgundy, Viognier, or Grenache Blanc. Orange wines are a great option for roasted vegetable dishes. Pairing wine with dessert can be difficult to wrap one’s head around. Our very own Colleen McGarry wrote this helpful article to assist you with pairing wine with dessert. In a nutshell, you want to pair wines that have an equal amount of sweetness, or that are sweeter than your dessert. 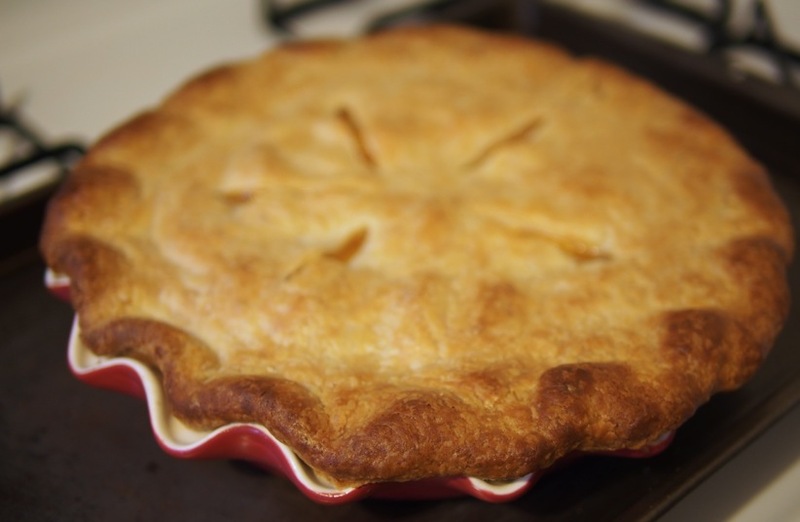 Try Sauternes with your apple pie or blue cheese, eau de vie (fruit brandy) with dishes made from the same fruit, or Gewurtztraminer with your spicy pumpkin pie. Chocolate-based desserts will be complimented best by ruby or tawny ports. 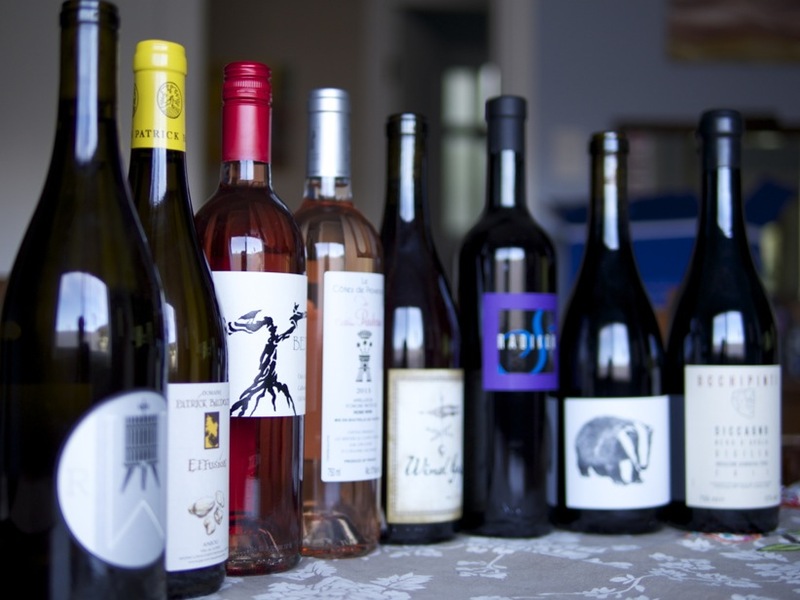 Need help choosing which wines to pair with your Thanksgiving feast? Feel free to reach out to us by emailing info@winelandia.com! 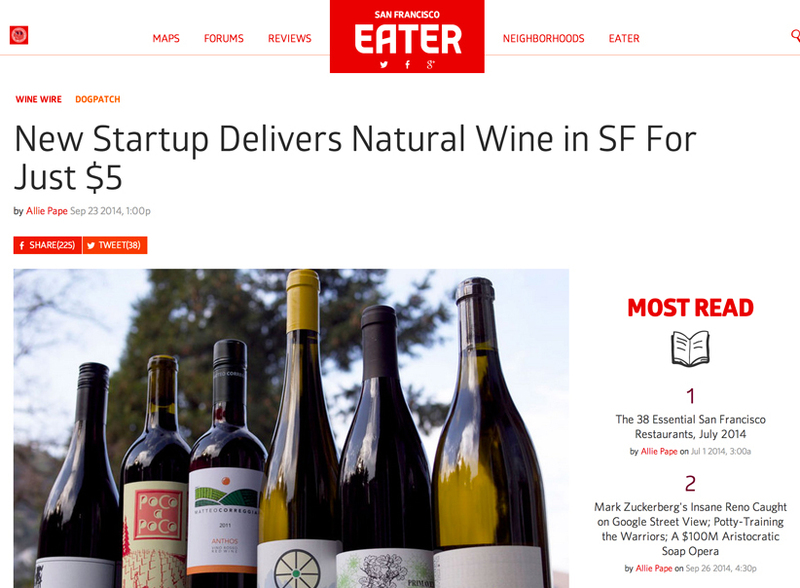 Winelandia was featured by Eater SF! Thanks to all of our friends and customers for your continued support! As an avid pastry baker and consumer, I’ve thought a lot about how to pair wine with various desserts, and what wines are universally – or almost universally – good choices with sweets. 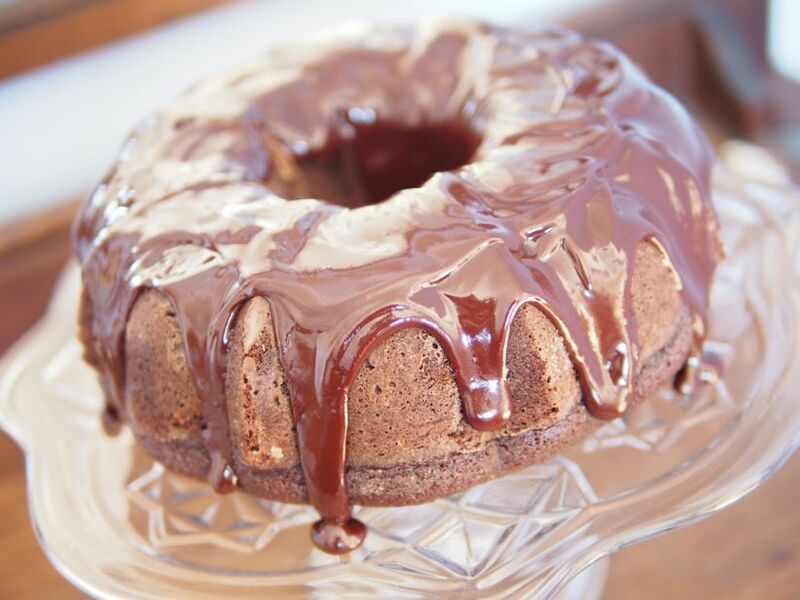 There are a few that come to mind, but dessert is a difficult category to pair with wine because there are so many types of sweets, and what you’re looking for may be different. Wine pairing generally comes down to either complementing or contrasting with a dish, and this remains true when pairing with the last course of a meal. And then there are sweet wines in and of themselves, some of which pair nicely, and some of which ARE dessert on their own – treat them as such! The number one, almost-no-fail dessert pairing choice is a crisp, dry or semi-dry (demi-sec) Champagne. 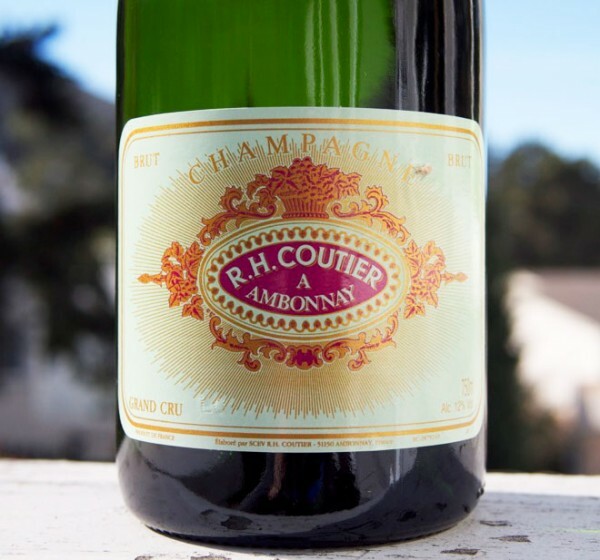 The bubbles cleanse the palate both between courses and between bites, and the acidity creates a nice complement with a bright, fresh dessert like a lemon bar, say, and contrasts nicely with something rich and custardy like creme brulee. If your final course has fruit or cream in it, you’re definitely safe with Champagne alongside. However, if you’ve selected a chocolate confection, Champagne may either be too stark a contrast, or simply lost in the intensity of your sweet, so think of something else. The classic choice for anything chocolate is to go with Port, which is generally a late-harvest, fortified red wine. It’s higher in alcohol (from the fortification, usually with brandy or grappa), and has some sweetness leftover from the fermentation process too, so it’s intense in several senses. The sweetness and intensity work together, and the toffee and toast in a Port wine will play nicely with the other flavors that often come in a chocolate pastry – nuts especially. Now, neither Tala nor I are huge fans of the Port-with-chocolate pairing. It can be overwhelmingly sweet and, well, saccharine. Another option with chocolate is a fizzy red like Brachetto, Lambrusco or sparkling Shiraz. The same principles from the Champagne-with-fruit-or-cream pairing apply, but with the structure and intensity that can only come from a red wine. Just keep the tenor of the wine in line with whatever you’re pair – more intense wine like Shiraz with a dark chocolate cake, and a lighter, brighter one like Brachetto with something maybe in the milk chocolate raspberry vein. Sweet wines like Sauternes, late harvest Rieslings, and Tokajis are very complementary to dishes that have some depth but also some sophistication – think Tarte Tatin, peach crostata or brown butter shortbread. Anything with butter or caramel will shine here, and pastry goes great too – which is how you know this is my favorite category. The nutty and subtle complexity of anything with a crust – pastry or just oven crispness really bring something out in these selections. The apple-y flavor of an aged late harvest Riesling will seamlessly integrate with a caramel-based sweet. These wines tend to be well aged, rare, and quite expensive, which means you should also consider serving them on their own. Let the wine be the finish to a great meal, and a great topic of conversation over the glasses you share. There’s been a lot of press lately about “New California” winemakers and the fantastic wines being produced by them. Small-scale winemakers from all over California are producing soulful wines from forgotten grape varieties, and are trailblazing a new frontier in American wine. I wanted to demonstrate the similarities and differences between modern California wines and similar wines from Europe by hosting a side-by side tasting. Why? Well, most “modern” American wines seem to be modeled after famous wines or styles from Europe, and I think it’s important for students of wine to understand the nuances of both. Many people claim to prefer wine from one country of origin over another, but I don’t think as many people truly understand how American wines are different from their European counterparts. I set forth to curate eight wines for the tasting, two from each wine color group. I chose two whites, two rosés, two orange wines, and two reds. For the whites, I chose a Santa Barbara County Chenin Blanc made by Ryan Roark and a French Chenin Blanc from the France’s most famous Chenin-producing region, the Loire Valley. 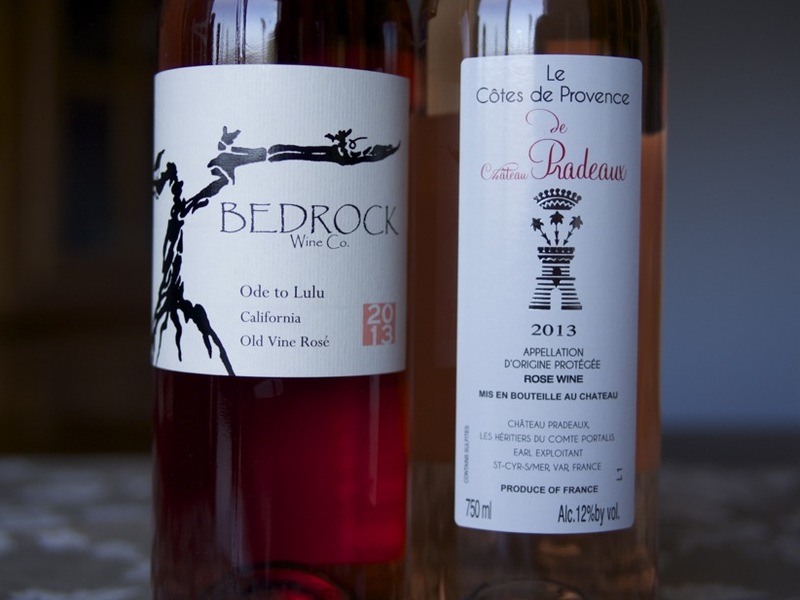 For the rosé, I chose an old-vine Mourvedre rosé from California to taste next to a Mourvedre-dominant rosé from Provence. 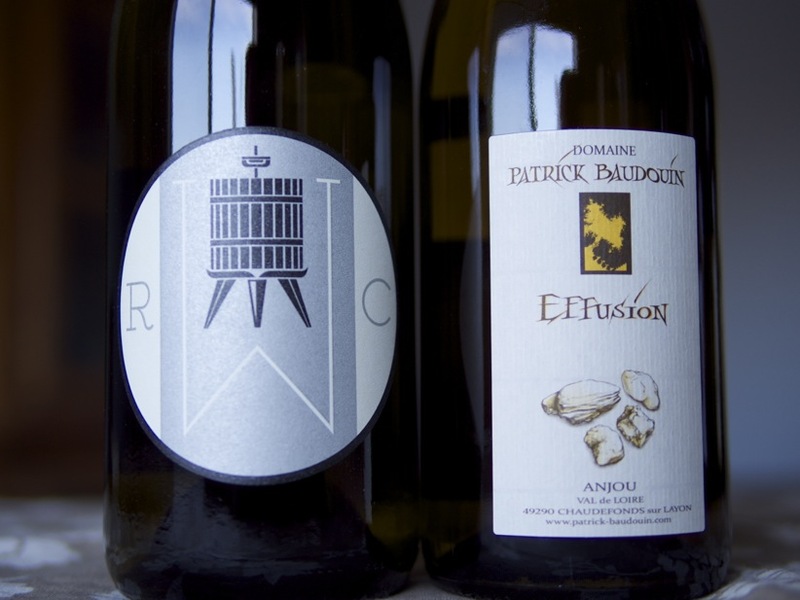 The orange wines were both skin-fermented Pinot Gris, one made by Wind Gap in Sonoma from the famous Windsor Oaks vineyard, the other from benchmark orange wine producer Radikon in Friuli, Italy. 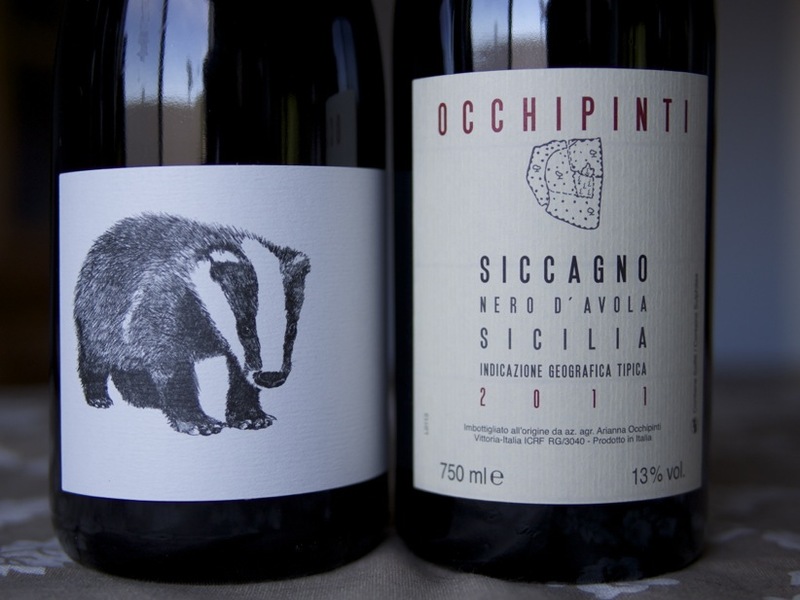 The reds were both made from the native Sicilian grape Nero d’Avola – the Californian version being made by Broc Cellars in Berkeley, and the European one from legendary Sicilian producer Arianna Occhipinti. Overall, I think Europe had a slight edge over California, in terms of what people liked. I asked for a show of hands after pouring each set of wines, and everyone agreed that the California wines were easier to drink and more approachable, while the European wines seemed to have a little more going on. 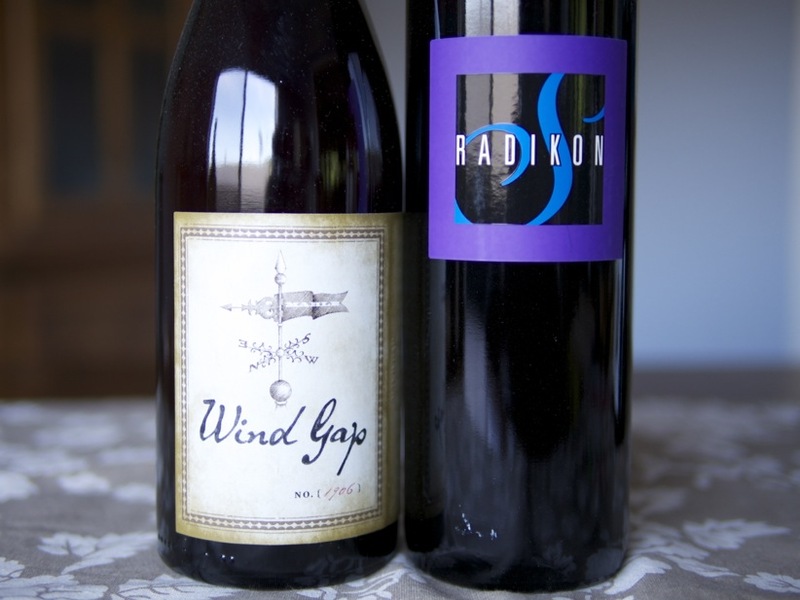 One thing that took me by surprise is how most people initially preferred the Wind Gap Pinot Gris over the Radikon Pinot Gris, until the food came out – there was a definite shift from Wind Gap to Radikon once the food pairing arrived. The Radikon may have been the crowd favorite of the evening. Going forward, I think I will stick with this side-by-side format to help Secret Wine Club’s members better wrap their heads around the differences between domestic and imported wines, and how terroir and winemaking style influence the finished product. Everyone loved the new format, and I got some really good feedback on how to make it better the next time around. While developing recipes for our wine club, I often refer to a book called What to Drink with What You Eat. It’s collection of foods and drinks in list-format with associated pairings. 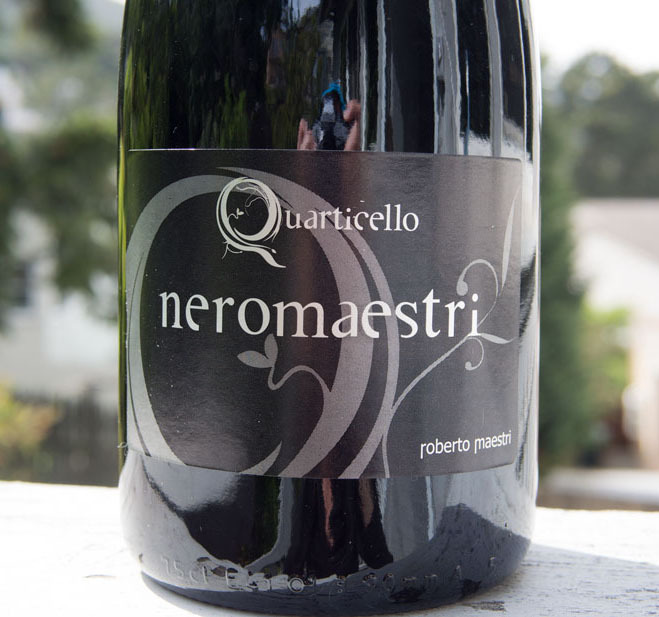 It’s very handy when I’m venturing off into uncharted food or wine territory – an issue I ran into when dreaming up recipes for our 2012 Quarticello “Neromaestri” Lambrusco, featured in our Spring wine club collection. I consulted this book and decided the best course of action was a light and summery appetizer featuring classic Lambrusco pairings of ricotta and salumi, served atop crusty bread in the form of Bruschetta. This is a very simple, fast, and tasty antipasto, the perfect compliment to your fizzy Lambreezy (as I like to call it) on a nice spring or summer day. To take it to another level, grill the bread instead of toasting it. Brush the bread slices with olive oil and lightly grill on a BBQ (or broil if you don’t have a grill). Spread a little ricotta on top of the grilled bread. 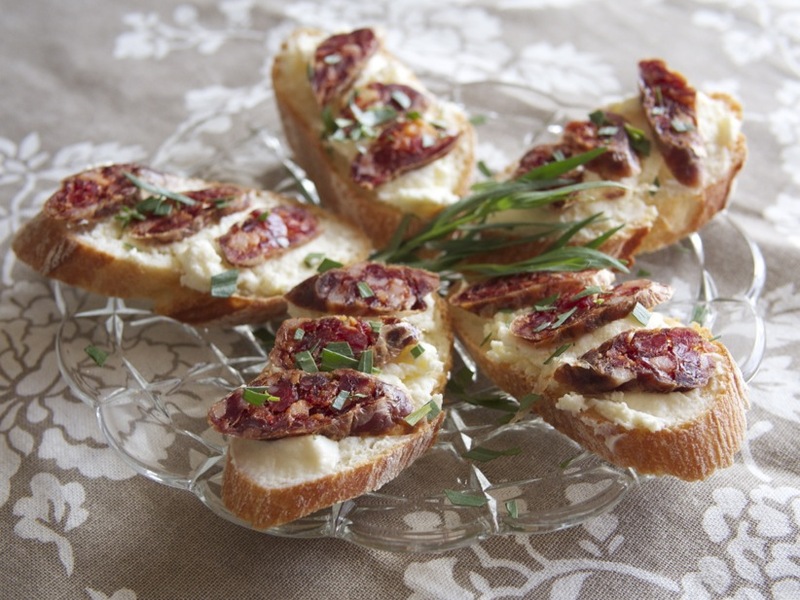 Arrange the sliced salumi on top of the ricotta. Chop the tarragon and sprinkle on top of the bruschetta. Which five simple ingredients will create a dish that will change the way you think about snacking? Chances are, you already have them at home. Potatoes, onions, eggs, olive oil, and salt, that’s it! With these five pantry staples, you can create a Spanish tapa that is more satisfying and delicious than you could ever imagine something so simple to be. 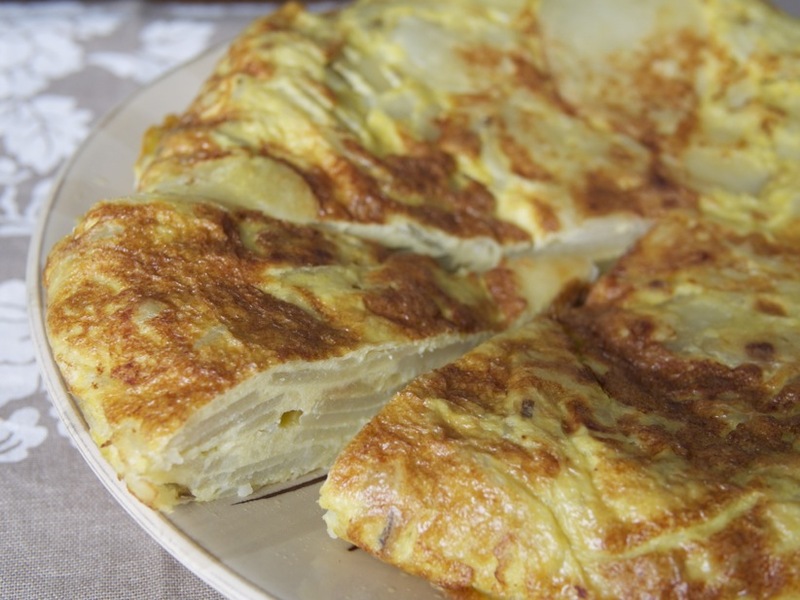 In Spain, it’s called tortilla Española, tortilla de patatas, or simply tortilla. It’s similar to an Italian fritatta, except that instead of being finished in the oven, it’s finished on the stovetop. When I first visited Spain, I remember seeing tortilla on the menu at every tapas bar we visited. It was a welcome interlude to all the salty cured meat and preserved seafood that dominate the tapas bars. The Spanish enjoy this regional delicacy by itself as a tapa or on a baugette as a bocadillo. I knew that when I got home, I’d have to figure out how to make this thing because my husband loved it so much. It turns out, this recipe is very simple and easy to make. You just need a few pieces of equipment; a 10″-12″ skillet at least 1-1/2″ deep (preferably, but not mandatorily nonstick), a big bowl, a large plate, and a sharp knife. It helps to have a mandoline; it’ll save you some time, but it’s not essential. A steady hand and a sharp knife will do just fine. 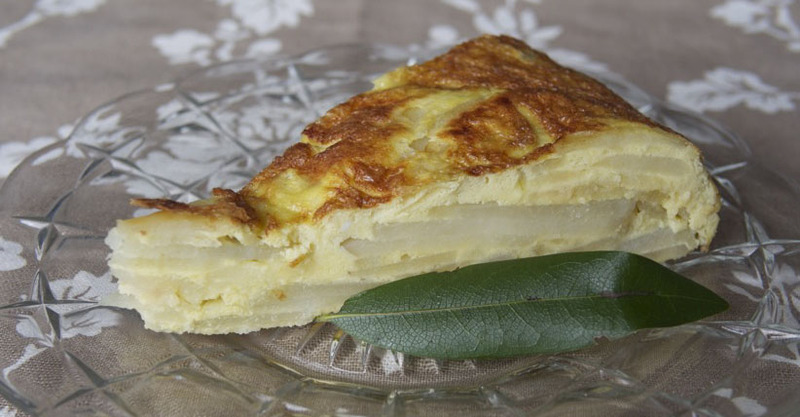 The best thing about tortilla Española is how versatile it is. It tastes great cold, warm, or at room temperature. 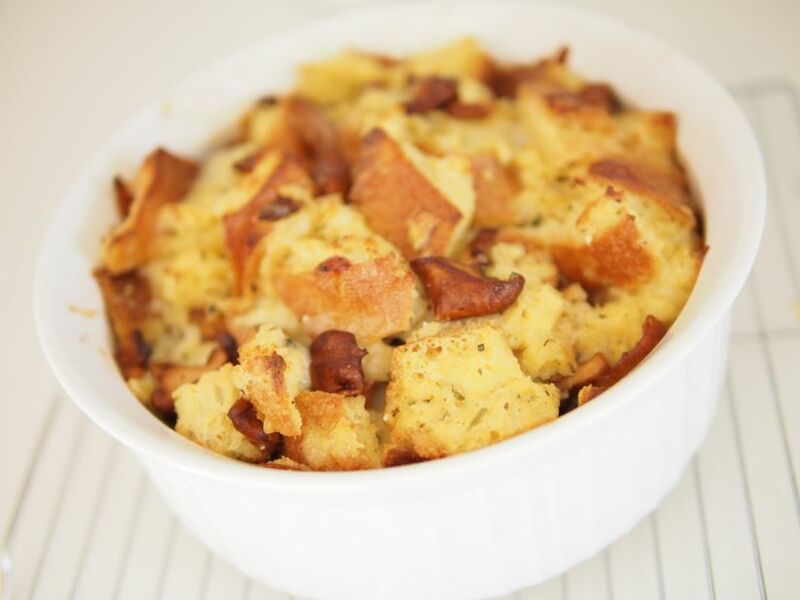 It makes a great weekday lunch or mid-day snack. Take one to a potluck and you will be the talk of the town. This recipe was developed with our 2012 Talai-Berri “Finca Jakue” Getariako Txakolina in mind – a deliciously fizzy white wine from the Basque region of Spain. The txakoli is perfectly contrasted by the richness of the tortilla – it has enough acidity to cut right through the olive oil and potato flavors. Enjoy the two together on a warm afternoon, the txakoli with a good chill and the tortilla served cold alongside some tomato-rubbed bread and jamón. Fill the large bowl halfway with cold water and set next to your work surface. Peel and thinly slice the potatoes, 1/8″ thick or a little thinner, with your knife or mandoline. Place the sliced raw potatoes in the bowl of water to prevent them from oxidizing. Peel the paper off the onion and slice in half, lengthwise. Thinly slice the onion and set aside. Heat the olive oil in a large frying pan over medium heat. Drain the potato slices well and add to the oil, along with the onions. Cook the potatoes and onions over medium heat for about 20 minutes, turning the slices often. Avoid letting them brown. The potatoes and onions are done when they are fully cooked and easily pierced with the corner of your spatula. While you’re cooking the potatoes, whisk the 6 eggs and salt in a large bowl until combined. Remove the potatoes and onions from the pan with a slotted spoon and add to the egg mixture, reserving the olive oil in the pan. Mix the potatoes and onions into the egg batter with a large spoon, being careful not to crush or mash the cooked potato slices. Strain the oil from the skillet into a clean jar, and wash the skillet well enough that the surface is free of any stuck-on potatoes. Heat the skillet again over medium-high heat. I like to use non-stick cooking spray for this step (I don’t have a non-stick pan), or you can use 2 tbsp. of the reserved olive oil. Make sure the skillet is good and hot, but not hot enough to burn the oil. Add the potato/onion/egg mixture to the hot pan. It’s important the pan is hot, so the tortilla doesn’t stick. After about a minute, reduce the heat to medium and cook for about 5 minutes, or until the tortilla is set but the surface is still runny. Remove from the heat. Give the pan a shake to loosen the tortilla, use a spatula to help loosen it if you need to. Take your large plate and set it upside-down over the surface of the tortilla while it’s still in the skillet (if the plate is bigger than the skillet, that’s OK). Carefully invert the skillet and allow the tortilla to fall onto the plate. Wipe the skillet out with a paper towel and return it to medium-high heat. Add another coating of non-stick cooking spray or 2 tbsp. olive oil. Slide the tortilla back into the pan, uncooked side down. Turn the heat down to medium after a minute. Cook for an additional 2 minutes. In the meantime, wash and dry the plate you used to invert the half-cooked tortilla onto. Shake the pan to loosen the tortilla, and remove it by inverting it out of the skillet back onto a plate. Allow it to cool, then slice it into wedges and serve. By now, you may have seen the mountains of asparagus at the Farmer’s Market. Asparagus is at the peak of it’s season, and you can buy fat, tender, delicious spears for a reasonable price. Sure, you might be able to find asparagus at the grocery store any time of the year, but if it’s not spring, it has traveled thousands of miles and usually tastes like cardboard. This is why I choose to eat seasonally – things just taste better. When choosing your asparagus, go for the fatter spears, not the skinny ones. They tend to be more tender and flavorful. Choose bunches with tightly closed, firm tips, free of any rot. Once you get your asparagus home, don’t cut the ends off – instead just bend the bottom third of the spear and let it snap where it will – this will remove any fibrous or woody bits. One of my favorite flavors to compliment asparagus with is spring morels, fresh from the forest. Their umami flavor is a wonderful enhancement to the sweet, tender asparagus. Green garlic is another springtime favorite of mine, which has a natural affinity for all things Spring. I wanted to combine these ingredients to make a healthy, delicious, seasonal meal – and so I did. This dish was so fantastic, I wanted to share it with all of you. Wine pairing: Asparagus is notoriously difficult to pair with wine. For best results, go for an unoaked, aromatic white wine such as sparkling Vouvray, dry German riesling, Gruner Veltliner, or Sauvignon Blanc. In a small pan, heat the butter over medium heat until it foams. Add the morels and green garlic to the pan with a little salt, and sautée until the garlic is soft and the mushrooms begin to brown. Remove from heat and set aside. Heat a pan of water until it simmers (not boiling) for poaching your eggs, then add 2 tbsp. white vinegar to the poaching water. Toss the asparagus in olive oil and season with salt. Place on a cookie sheet lined with foil and roast in the preheated oven for 10-12 minutes, until cooked but still crisp. Divide the frisée between two plates. Combine the salad dressing ingredients in a small bowl, whisk, and drizzle a small amount over the plated frisée. Crumble a little goat cheese over the frisée. Start poaching your eggs. Don’t let the water boil; keep it at a simmer. Poach the eggs for about 3 minutes, until cooked soft or medium. While the eggs are poaching, divide the roasted asparagus between the two plates, laying the spears neatly on top of the dressed frisée. 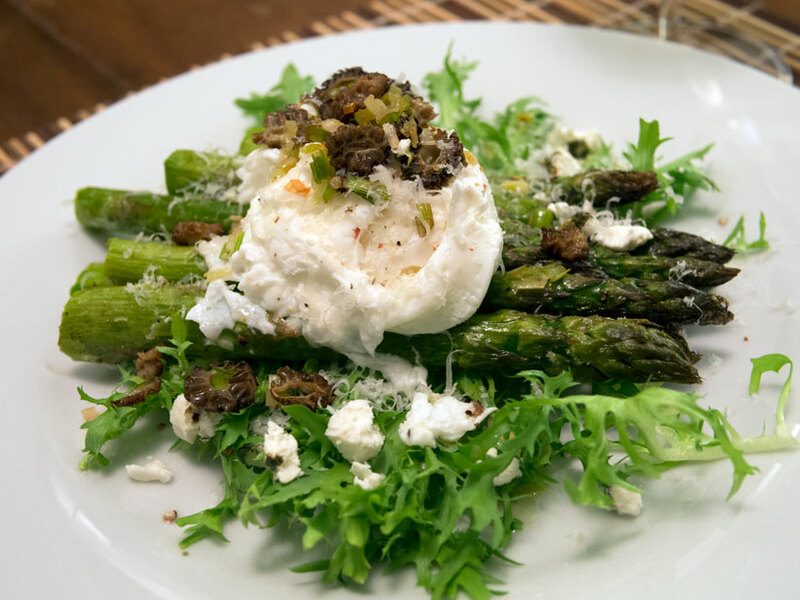 Remove the poached eggs with a slotted spoon and place on top of the plated asparagus. Shave some Parmesan over the hot eggs and asparagus, to taste. Top the poached egg with the sautéed morels and green garlic, then season with fresh ground black pepper. Asparagus and mushroom risotto is a perennial spring dish, making use of the best the season has to offer. We kicked up the seasonality of the dish by incorporating green garlic, an ingredient that shares it’s season with asparagus and mushrooms. In order to make it a little more visually interesting and healthful, we decided to riff on it with multiple grains – this version has classic carnaroli or risotto rice, plus pearled barley and quinoa. You can swap in myriad other grains too, if you have a personal favorite. The grains are cooked separately to maintain their structural integrity, and the risotto is prepared in the traditional way – with lots of stirring. The veggies are sautéed and then everything comes together at the end. 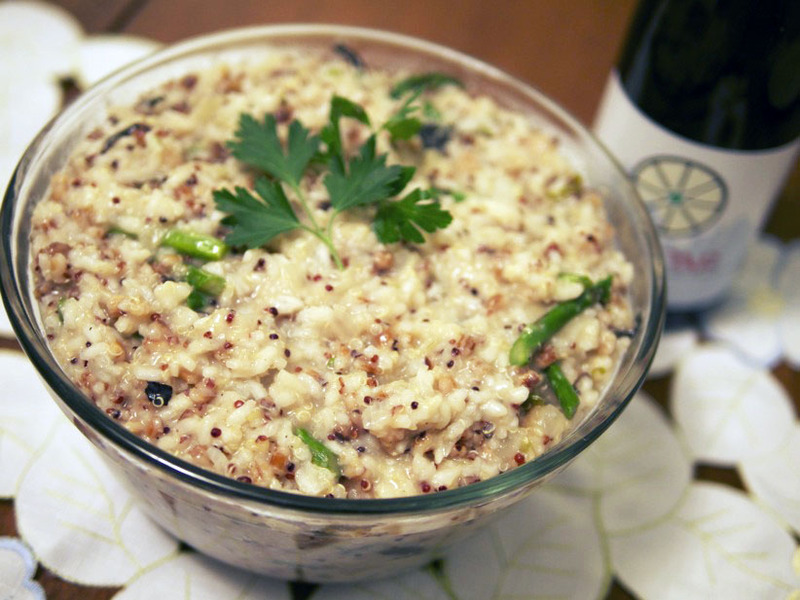 This risotto is a match made in heaven with the 2012 Radoar “Etza” Muller-Thurgau (featured in our winter wine club collection), a grape that is known to pair with asparagus – a very difficult-to-pair ingredient. Its acidity and depth match both the asparagus and the creaminess of risotto. Bring a 2 or 3 quart pot of water to a boil, with 2 tablespoons of salt added. Once boiling, add the pearled barley. Cook the barley over a simmer until it’s hard in the middle, but beginning to give on the outside, about 10-15 minutes. Then, add the quinoa to the same pot and cook until both grains are tender, about 10-15 minutes more. Drain in a fine mesh strainer so the quinoa doesn’t escape. Set aside. 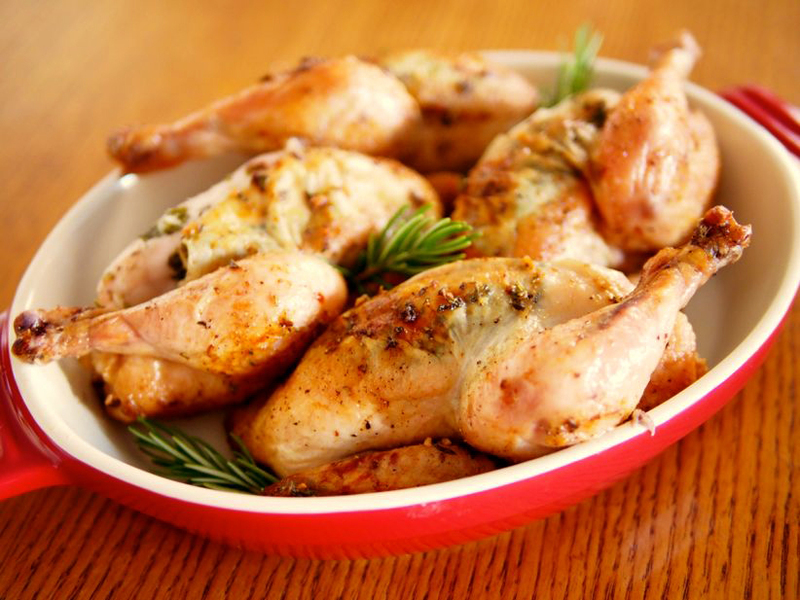 In a large dutch oven or pot (at least 5 quarts), melt one tablespoon of butter and add 1 tablespoon of olive oil. Once sizzling, add the diced onion and sauté until soft, about 5 minutes. Add the risotto and stir constantly until the grains are translucent but not brown, about 2-3 minutes. Meanwhile, heat the chicken or vegetable stock in a separate pot until hot but not boiling, and leave at that temperature on a back burner on your stove. We used a quart of stock and 2 cups of water, but you will need anywhere between 4 and 6 cups of liquid. Once the rice is translucent, add the wine and stir constantly until almost completely absorbed. Commence “risottoing!” Add a ladleful of the hot liquid and stir every few seconds. Lower the heat to achieve a low simmer, and adjust the heat as needed to keep it there. Stir every 30-90 seconds, and when the liquid is almost absorbed, add another ladleful. Keep doing this while you proceed to step 6. In a skillet or sauté pan, combine the remaining tablespoon of butter and two tablespoons of olive oil over medium heat. Add the mushrooms and sauté for 2-3 minutes, until fragrant. Add the green garlic and sauté until soft, 1-2 minutes more. Add the asparagus and sauté for 1-2 minutes, then add 1/4 cup water to the pan, put the lid on, and let steam for another 1- 2 minutes. Remove the lid, keep the heat at medium or medium high, and evaporate the remaining water. Remove the pan from the heat, moving the contents to a bowl, and set aside. Keep adding liquid and stirring the risotto until the rice is al dente – a tiny bit of chew in the center of a grain, but mostly soft and creamy. This will take somewhere around 20-30 minutes. Taste for salt and texture periodically along the way. Once the rice is about where you want it, add back in the barley and quinoa to allow the flavors to meld. You’ll want to add another ladleful of liquid to compensate for the additional grains. You’re aiming for a loose texture – looser than you think – because it will tighten up between the stove and the plate. Add the asparagus/mushroom mixture and stir, then turn off the heat. Stir in the parmesan and pepper, and taste for seasoning one last time. Serve immediately. The California Dungeness crab season usually runs from November to May. This local delicacy is highly regarded as one of the tastiest crustaceans in all of the sea. Dungeness crab is succulent and sweet, which makes it an excellent compliment to a wide variety of flavors. In this recipe, we combine sweet Dungeness crabmeat with tangy seasonal citrus, creamy Hass avocado, and slightly bitter endive. 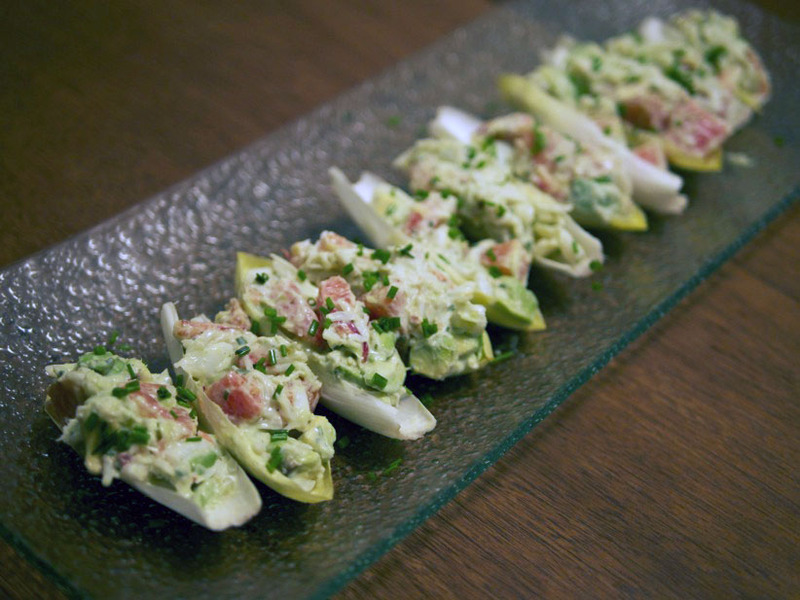 We bring the variety of complimentary flavors together with a lemony tarragon crème frâiche dressing, and serve the salad atop “spoons” of Belgian endive. It’s surprisingly easy to make – the most important thing to remember is the quality of the ingredients you use. Taste the citrus before you buy it, make sure your avocado is perfectly ripe, and ensure your crabmeat is as fresh as you can get it. 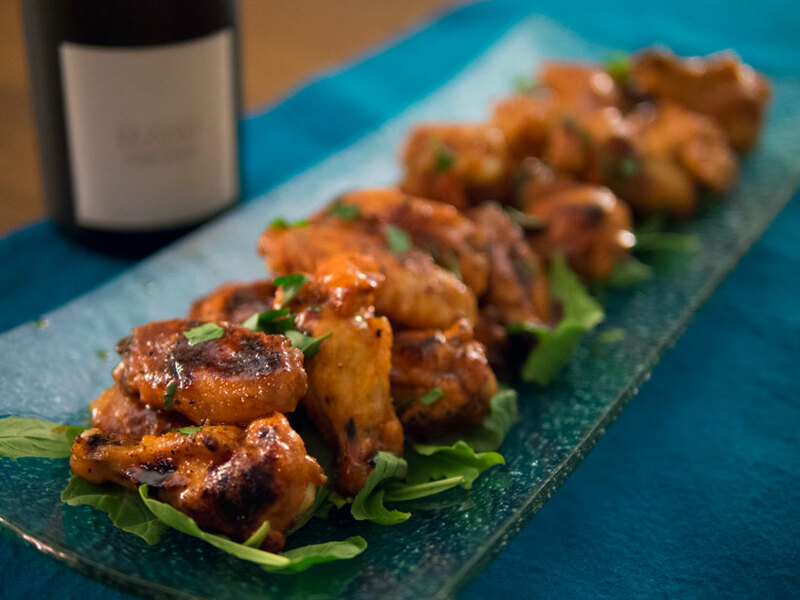 This recipe was created to pair with the 2012 Frantz Saumon Minéral + Chenin Blanc offered in Winelandia’s winter wine club collection. The richness and texture of the dish is perfectly complimented by similar components of the wine, which also has juicy acidity and a taut mineral edge that makes what’s already a delicious dish even more delectable. Combine ingredients for the dressing in a small bowl and whisk until smooth. Set aside. Cut the avocado in half lengthwise, around the seed. Remove the seed and cut the avocado into a grid pattern with the tip of a knife, being careful not to cut through the avocado skin or your hand. Scoop the cubed avocado out of the skin with a large spoon. In a large bowl, combine the crabmeat, avocado cubes, and citrus pieces. 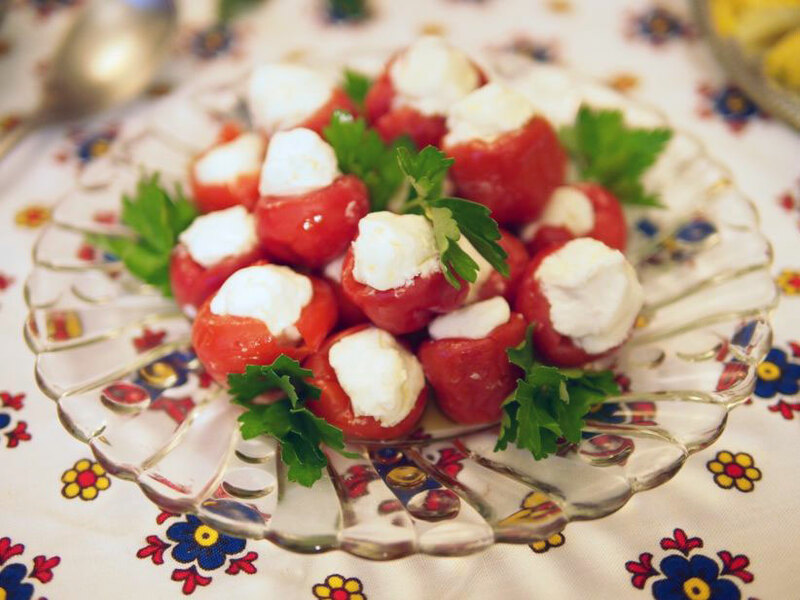 Dress the salad with the prepared crème frâiche dressing, a little at a time. Dress to your taste – you will probably have some dressing left over. Gently fold the dressing into the salad with a large spoon, being careful not to mash the avocado. 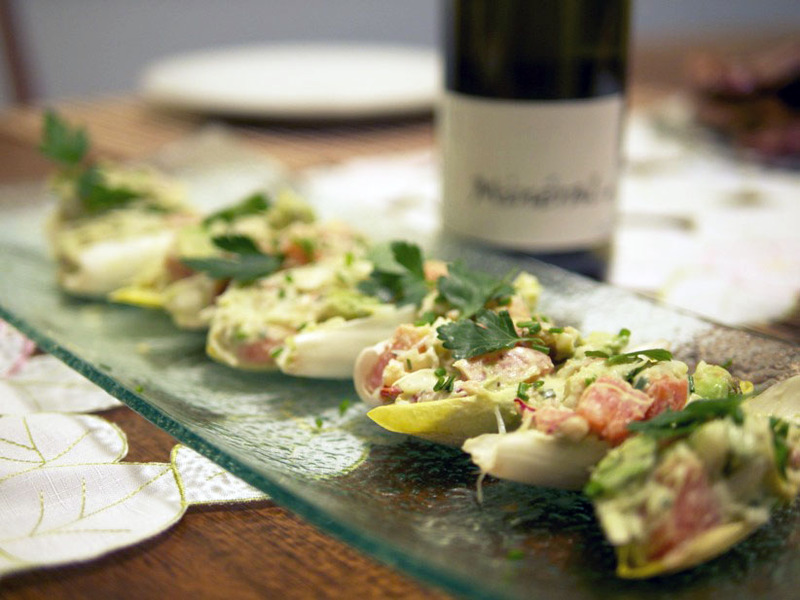 Scoop the prepared salad into the endive “spoons” and arrange on a serving plate. Garnish with more fresh chopped tarragon or fresh chopped chives. Open a chilled bottle of 2012 Frantz Saumon Minéral + Chenin Blanc and enjoy with people you love.